WATCH: ‘Ang Huling El Bimbo’ Cast Sings Title Song in Musical’s Official Music Video! Resorts World Manila’s much-awaited musical is only less than two months away! Based on the music of iconic 90’s rock band The Eraserheads, ‘Ang Huling El Bimbo’ stars Gian Magdangal, OJ Mariano, and Jon Santos, with Reb Atadero, Topper Fabregas, Boo Gabunada, Sheila Francisco, and Tanya Manalang. Told in two timelines, the musical tells the story of three friends who have drifted apart in adulthood until fate reunites them to confront their haunted past. The musical will feature over 20 of the band’s hit songs. RELATED: FIRST LOOK- Cast Announcement and Performances from Ang Huling El Bimbo Musical! 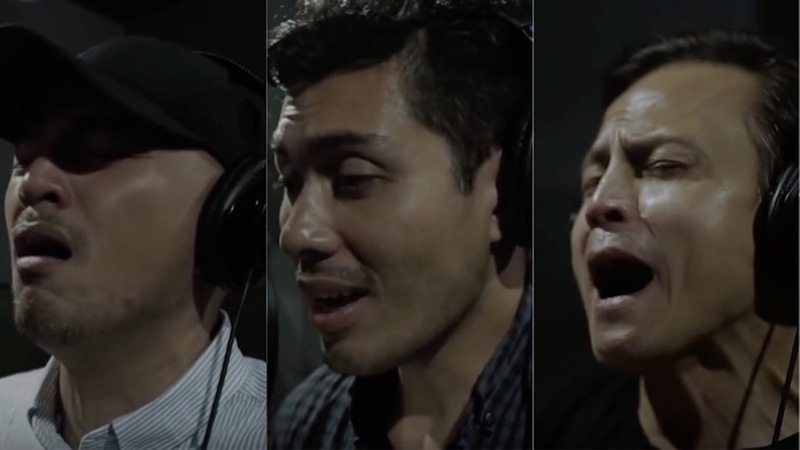 In the official music video produced by Resorts World Manila, in cooperation with Full House Theater Company and Ultimate Shows Inc., the cast sings a poignant rendition of the title song, with music arrangement by Myke Salomon. The book is written by Dingdong Novenario and the show is directed by Dexter Santos. Previous SNEAK PEEK: Rak of Aegis 2018 Cast Performs ‘Basang-Basa sa Ulan’, ‘Sinta’ and More!